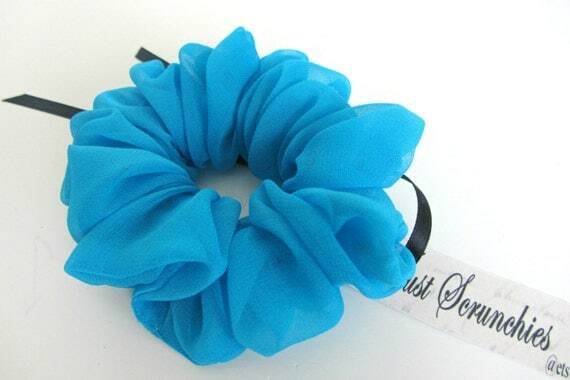 This brightly colored Turquoise Silk Scrunchie is basic, but bright. 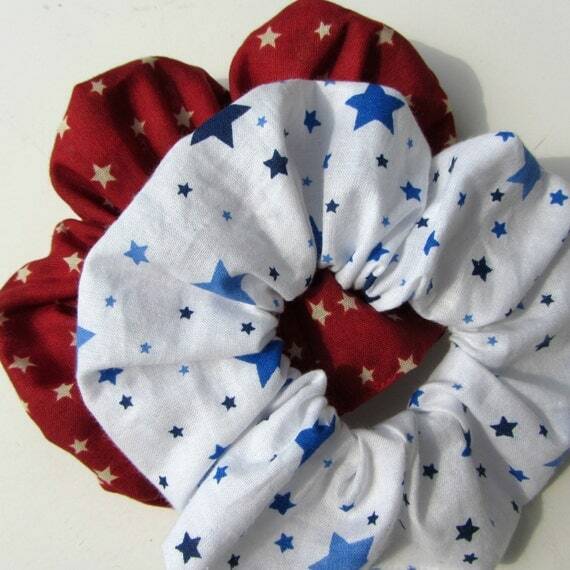 It's made out of silk chiffon, and is the perfect color for spring. 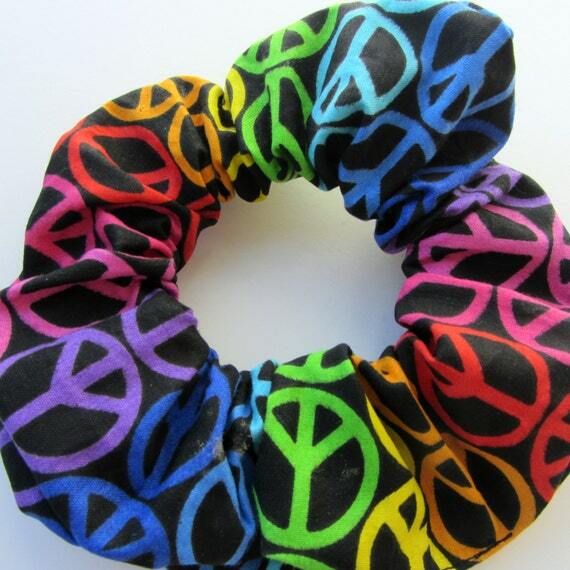 This colorful Rainbow Peace Sign Scrunchie is a blast of color, with a fun and funky peace sign print.